FLORIDA - The Florida Highway Patrol announced that high profile bridges across the Sunshine State will be closed when sustained winds exceed 40 miles per hour due to Hurricane Irma. However, Brevard County is excluded from the closure per a statement from FHP spokesperson Sgt. Kim Montes. The Florida Highway Patrol stated that troopers will close the bridges once wind speeds become high enough to create dangerous driving conditions. 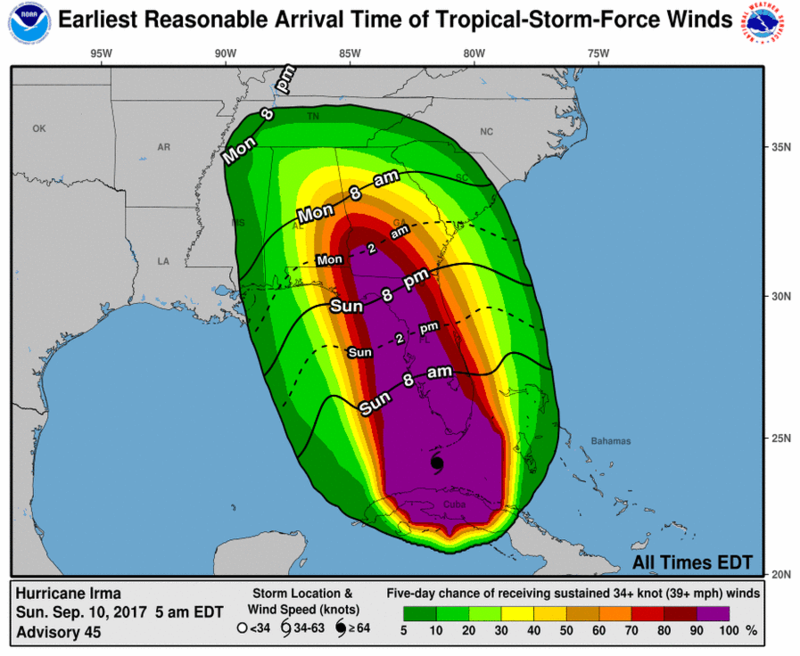 As wind speeds continue to rise, law enforcement and FDOT personnel will be required to seek shelter and use of the road will be at a motorist’s own risk. More than 1,700 FHP Troopers are working 12 hour shifts to ensure roads are safe and clear during Hurricane Irma. Motorists can call *FHP (*347) to request roadside assistance.